Dr. Eli R. Green is the founder of The Transgender Training Institute, an educational consulting company providing training and consulting services by transgender people, for the benefit of transgender people and communities. TTI works with K-12 schools, colleges & universities, social service & medical providers, and corporations to help create more transgender-affirming environments. 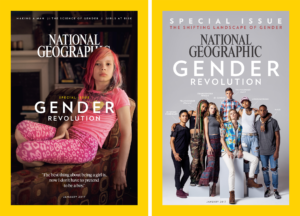 As an educator with over 17 years of experience facilitating transgender-related content, Dr. Green has helped thousands of people have a stronger understanding of what it means to be transgender, and how to be effective allies and provide crucial support to help transgender people survive and thrive in today’s world. As a master trainer, Dr. Green specializes in helping fellow educators expand skills and build capacity for implementing high quality transgender trainings through TTI’s Training of Trainers courses. 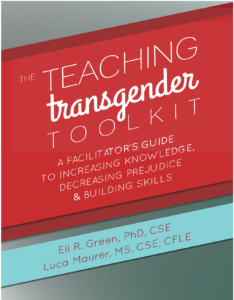 Dr. Green and Luca Maurer co-authored The Teaching Transgender Toolkit: A Facilitator’s Guide to Increasing Knowledge, Decreasing Prejudice & Building Skills, which was honored by the LGBTQ division of the American Psychological Association with the 2017 Distinguished Contribution to Education and Training award, and was named as the 2016 book of the year by the American Association of Sexuality Educators, Counselors and Therapists (AASECT). Dr. Green holds a PhD in Human Sexuality Studies from Widener University, in addition to Masters’ Degrees in Human Sexuality Education (Widener University) and Applied Women’s Studies (Claremont Graduate University). Prior to launching The Transgender Training Institute, he served as an Assistant Professor on the full-time faculty in the Department of Public Health at William Paterson University and in the Center for Human Sexuality Studies graduate program at Widener University. His academic research focused on better understanding the most effective educational methods for reducing prejudice towards transgender people, and was selected as the 2014 Distinguished Dissertation Award recipient by Widener University. His work was also honored by the Society for the Study of Psychological Issues (SPSSI) for significant contributions towards our understanding of current social issues. Dr. Green is a Certified Sexuality Educator (CSE) through the American Association of Sexuality Educators, Counselors & Therapists (AASECT) and currently serves on the Board of Directors as the Communications Steering Committee Chair. He is also a member of the World Professional Association for Transgender Health. 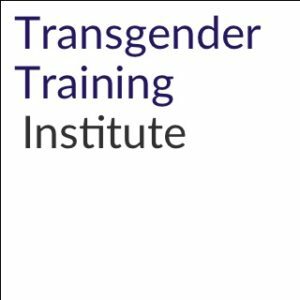 Dr. Green’s training and consulting company, The Transgender Training Institute (TTI), provides training and consulting services are informed/provided by transgender people, for the benefit of transgender people and communities. TTI services include expert facilitation of transgender-related professional development trainings, creation of customized curriculum, technical assistance and training of trainers/facilitators (TOTs). Dr. Green is a nationally recognized trainer who helps non-profits, direct service, med ical providers, and educational professionals expand their transgender-related cultural competency. His work was featured in the groundbreaking January 2017 issue of National Geographic, the first to feature a transgender child. As a consultant, he has developed and leads transgender specific train-the-trainer courses, and provides ongoing technical assistance and coaching for current educators and trainers. Dr. Green has worked extensively with youth serving organizations, including dozens of K-12 schools, colleges and universities and the NYC Administration for Children’s Services LGBTQ Policy & Practice Office’s initiatives to ensure that all LGBTQ & TNB (transgender and non-binary) youth in foster care, congregate care, and juvenile justice are safe, respected, and affirmed. As a part of this work, he co-authored the Safe & Respected best practices guide, and accompanying training curricula for service providers and foster parents. Dr. Green’s dissertation research was a national study examining the effectiveness of teaching transgender-related topics in undergraduate courses, particularly as it relates to reducing prejudice towards transgender and gender non-conforming people. His research was honored with Widener University’s Center for Human Sexuality Studies Distinguished Dissertation Award and the Society of Psychological Study of Social Issues (SPSSI) Social Issues Dissertation Award second prize. His ongoing research continues to evaluate the effectiveness of transgender-related education in community-based settings, specifically the effectiveness of transgender cultural competency staff trainings within foster care settings. 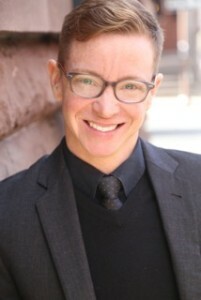 In addition to The Teaching Transgender Toolkit: A Facilitator’s Guide to Increasing Knowledge, Decreasing Prejudice & Building Skills, his scholarly publications include best practices for working with transgender youth in foster care, the politics of transgender inclusion in feminist spaces, creating transgender-inclusive sexuality education, and best practices when teaching online undergraduate sexuality courses.